With advancements in technology, every business is moving online by shifting their operations from brick and mortar offices to websites and web apps. This has brought in with it, a series of detailed testing techniques to cater to the best possible product or services to the end user. 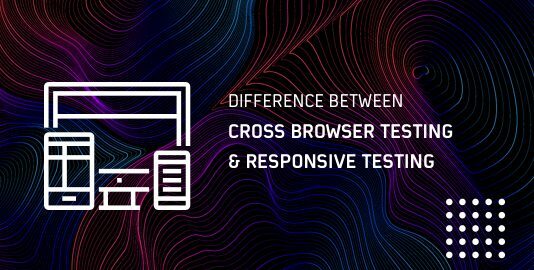 Many testing techniques such as Cross-browser testing, User Acceptance Testing, Regression testing have become evident for any software, website or app before getting launched to ensure the best of user experience and robust functionality. One such testing technique is Exploratory Testing. Unlike other testing techniques, Exploratory Testing does not have a fixed set of methodologies which the tester has to follow, but on the contrary, the tester has full freedom to discover the product/service to make it better with time. This is more like a continuous improvement which takes place in due course of time, along with the development of the website or app. Let us take a step further to get into the details of what precisely Exploratory Testing is, what makes it so important, how to perform Exploratory Testing, the challenges faced while performing it, the benefits and drawbacks, what makes it different from other scripted techniques and ad-hoc testing and its future scope. Exploratory Testing as the name suggests is based on the tester exploring the website or app to be able to make it better with time. It is a substantial activity in an Agile software development, where the development and the testing cycles go hand in hand. Exploratory testing though performed as black box testing, where the software is taken into account as a whole without getting into the details of individual elements forming it. It is a very spontaneous methodology of testing where the tester learns, understands, explores and tests the software simultaneously in an unplanned manner. 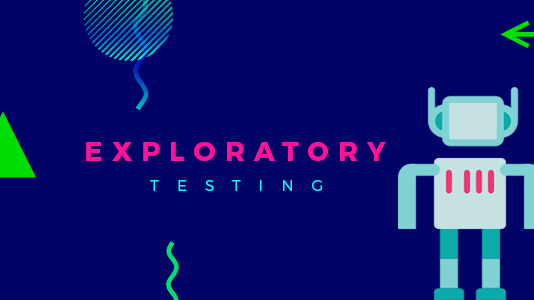 In contrast to the generally practised scripted testing where the test plans, test cases, and test steps are scripted way before the actual testing takes place, exploratory testing goes as the tester discovers and learns about the website or app on its own. It emphasizes more on the tester’s creativity, autonomy, and skill, unlike other testing techniques where a set pattern of the methodology is followed. Why Is Exploratory Testing Important? Exploratory Testing marks an important activity while practising Agile methodologies of software development. In an agile sprint, the software is developed with the release of multiple versions in a duration of every few weeks. Which means the time to develop and test is restricted and needs to be done on a tighter timeline. Thus, to conform to the small iterations of agile, exploratory testing, as it is less time-consuming complements with the automation testing to enhance the software with each version release. While the automation testing takes care of the regression testing, exploratory testing mainly tests the newly introduced features for the upcoming version. It ensures robust functionality, better user experience with constant learning and implementing with each version, informing the team about possible issues that might occur. How To Conduct Exploratory Testing? Exploratory testing involves discovery, investigation, and learning which goes hand in hand. Since, it is not pre-planned, unlike the scripted testing where the test plans, test cases, and test steps are drawn well in advance before starting to test the software. In an Exploratory test, a minimum time is given to planning. Instead, utmost time is dedicated to testing execution. To perform Exploratory Testing, all you need to do is to highlight the scenarios you are planning to cover, as a part of the test planning stage. While most of the emphasis is laid on test execution, the key learning which takes place simultaneously throughout the process is to be implemented during test execution for the enhancement of software. During Exploratory test execution, the key functionalities are targeted by exploring and discovering the software, and the reported defects are noted down. These defects are further analyzed, to resolve and enhance the product services. This way Exploratory Testing takes place with learning, test design, execution and analysis for Agile software development. What Are Different Types Of Exploratory Testing? Scenario-based Exploratory testing is when the user Explores and tests a particular scenario or functionality. 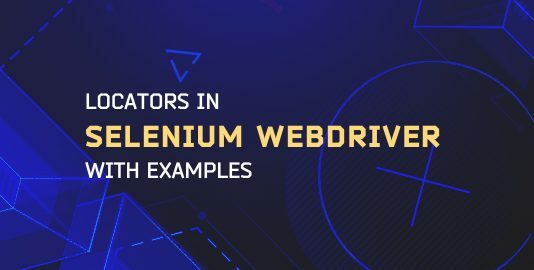 Based on the learning and observation of the website or app, and its functionalities, the tester could explore and find defects for different scenarios using an Exploratory Testing technique. They tend to check a different set of possibilities with scenario-based exploratory testing. The approach of this type of exploratory testing is based on strategies such as boundary value analysis, risk evaluation, equivalence technique. To perform strategy based exploratory testing, the tester must be familiar with the website or application functionalities to be able to conduct it with efficiency for better results. Freestyle Exploratory Testing is used mainly when the tester wants to do a quick smoke testing. As the name suggests, it does not have any defined approach, scenario or coverage of testing, instead, the tester proceeds in freestyle to investigate about defects. To be able to conduct a freestyle exploratory testing efficiently, the tester must be familiar with the website or app to be able to get hold of defects easily without any detailed planning. 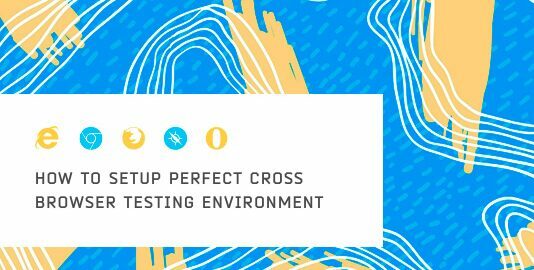 This way as a tester you can thoroughly check the website or application using different types of exploratory testing techniques to ensure an improved product or service for a better end user experience with every version. It does not require extensive test planning, which is often time-consuming, making the whole process slow. It is very much aligned with the business usability and domain of the product/service. Exploratory Testing is efficient for short span projects. It goes hand in hand with Agile Software development. It often gets hold of bugs which remain undetected while testing with other techniques. It is beneficial when requirement documents are not readily available. One of the biggest drawbacks of Exploratory testing technique is that it completely relies on the skills of the tester, so it might not produce as effective results as it should when the tester is not highly skilled. Another drawback is due to the lack of scripts it is often difficult to trace back the test cases and test them back again. What Makes Exploratory Testing Difficult? Due to lack of documentation, often tracing the defects back is a difficult task, especially when there has been some time passed. A lot of the Test Execution depends on the skills of Tester, and it might be difficult to get desired results when the Tester is not as diligent. It might not apply to a large-scale project with a longer timeline, as it might be difficult to cover every possible scope without due formal documentation. It requires a good domain knowledge with a better command to be able to explore the product in depth and find out bugs and defects. It is difficult to review the test cases later. By overcoming the above challenges faced during Exploratory Testing, you can enhance the product/service across versions with Agile methodologies. There are many myths when it comes to Exploratory testing. Let us debunk some of the common myths related to Exploratory testing. Exploratory testing is a more formal type of testing while ad-hoc testing goes more on a random side. Ad-hoc is more requirements based while exploratory is workflow based testing technique. The difference between Exploratory testing and ad-hoc testing is discussed in details in the upcoming section. Just because the test plans are not documented, it does not mean that Exploratory testing does not have any documentation and cannot be quantified. In reality, it focuses more on the test execution and the defects explored are well documented. Hence, Exploratory testing is efficiently quantified, unlike the myth. It’s just that the test planning is not given much time and importance in exploratory testing but at the same time, scenarios and strategies are planned before execution of exploratory testing. Since they are much documented unlike the other scripting techniques doesn’t at all mean that Exploratory testing is not planned at all. A common myth regarding Exploratory testing is that it is more time consuming than Scripted Testing, but in reality, Exploratory testing requires lesser time as the entire time spent on test planning and scripting is saved in Exploratory testing. Due to its less consuming nature, Exploratory testing is used in Agile methodologies where time duration between sprints is limited to a few weeks. Exploratory testing is often considered to be limited only for small-scale teams, but this is a misconception. Exploratory testing is efficiently carried in bigger teams too, where they collaborate with other testing methodologies for Agile Software Development. Although most of the Agile teams use Exploratory testing technique along with Automation testing, this clearly does not mean that Exploratory testing is limited only to Agile teams. In fact, any software development team which is looking for a quick testing session with the agenda to explore and learn simultaneously about the website/application can efficiently use Exploratory testing. Due to this reason, Exploratory testing is often very popular among startups. Exploratory Testing is an unconventional testing technique, unlike the conventional Scripted Testing techniques. While the test cases are determined well in advance from the requirement documents in case of Scripted Testing techniques, these steps are not followed for Exploratory Testing. Unlike Scripted testing which depends mostly on confirmation, exploratory testing relies more on investigating the website/app by the Tester while exploring. Exploratory testing gives freedom and autonomy to the tester to do it their way, without following any script in contrary to the scripted testing techniques. Documentation remains one of the key focus in the Scripted Testing Techniques, unlike the Exploratory Testing. This way Exploratory testing is a free, out of the box testing technique which is primarily based on discovery and involves less planning and documentation, making it less time consuming and different from the Scripted Testing techniques. Although Exploratory Testing might seem like Ad-hoc testing due to its freestyle testing, actually Exploratory testing is mostly different from Ad-hoc testing. While ad-hoc testing is an entirely random testing approach, Exploratory testing is more on a formal side where the scenarios to be tested are determined. While ad-hoc testing requires initial learning, exploratory testing is all about exploring the website/app and learning simultaneously with testing. For Ad-hoc testing, requirement documents are required, unlike Exploratory testing which does not require them. Unlike ad-hoc Testing, Exploratory testing requires workflow to perform testing. In this way, Exploratory testing is different from ad-hoc testing. Is There A Future For Exploratory Testing? Gone are the days where scripted testing methods were the only way of conducted testing for user acceptance. Testers today can no longer afford to stick to a fixed number of test scripts, in order to attain a user sign off for the sake of release. With the technologies heading towards being more user-centric, even the testing techniques have to be aligned in the same manner to be able to enhance user experience with each upcoming version. This user-centric software development and Agile methodologies ensure a brighter future for Exploratory Testing along with Automation Testing for software products and services. 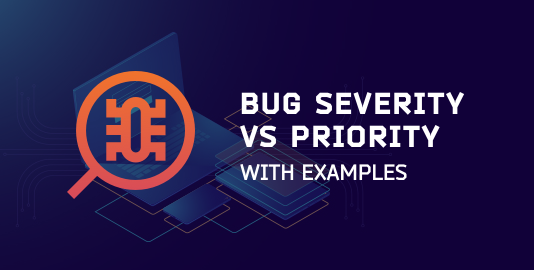 Given the shrinking timelines to release new versions, Exploratory Testing would be the ideal solution when done along with Automation testing to ensure a fully functional, robust & user-centric software. Garima is a tech enthusiast, who likes to read and write across different genres.